The autopsy for Carrie Fisher, following her death on Tuesday, was put on hold, according to a report. 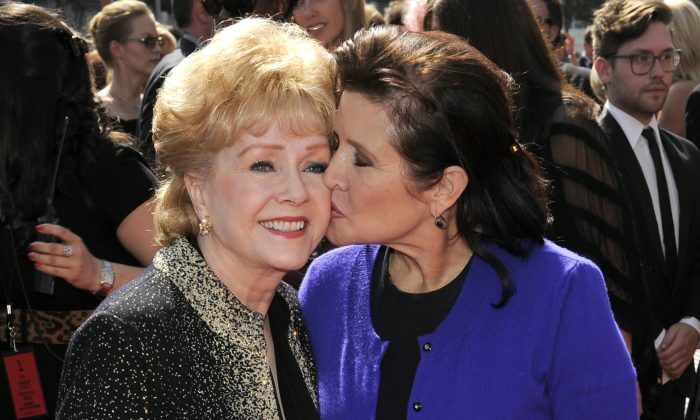 The “Star Wars” actress died one day before her mother, longtime actress Debbie Reynolds, passed away. This means the autopsy has been complicated by Reynolds’ death, TMZ reported on Thursday. The Los Angeles County Coroner contacted Fisher’s daughter, Billie Lourd, 24, seeking permission to carry out the autopsy of her mother, as Lourd is her next of kin, TMZ reported, citing sources close to the Fisher family. Lourd deferred authority to her father, talent agent Bryan Lourd, as she “was distraught,” TMZ reported. Family lawyers then contacted the L.A. County Coroner and expressed concerns about going forward, without giving any reasons. “We’re told for now the Coroner is just waiting. In addition to the autopsy, the Coroner needs to know about what happened on the United jet when Carrie’s heart just stopped beating, what meds she was on and her medical history in order to determine cause of death,” the TMZ report said. After Reynolds’ death, the entire family was thrown into chaos. Todd Fisher, the son of Reynolds, confirmed his mother’s death on Wednesday evening after she reportedly suffered a stroke.